I first got into gaming about 12 years ago. I wasn’t doing much with myself at the time and I spent most of days making money, getting into trouble and making a lot of bad choices in general. I had just gotten stabbed on what would turn out to be the 2nd of 3 occasions , I almost lost my left arm from the elbow down over it. This wasn’t even the worst thing I’d gone through at this point in my life. A concerned friend told me about a game that her brother was playing, she said he really enjoyed it and I should give it a try. Maybe it would give me something better to do than get into trouble. The game was Tom Clancy’s Rainbow Six 3: Raven Shield. AGP video card. Back to Best Buy! Eventually I did get the PC set up and I did get it working , and then I messed up bad…. I actually played the game. I don’t think I left my apartment for 3 days after. A lot of pizza was delivered. Now I was already pretty overweight at the time , even though I was hitting the gym and playing football with friends, and it was getting worse with how sedentary I was becoming. So I decided to try and reverse things. These were the baby steps on my journey. I’ve swapped my 48 inch gut for a 32 inch 6 pack. I don’t have as many hours to spend in the gym anymore or as many to spend enjoying a game (still haven’t finished the Witcher 3 DLC’s) but I make up for most of that by making smart decisions. Drinking your calories is probably the worst thing you can do (protein shakes excluded) so I stay exclusively to water. I use the My Fitness Pal app to track my calories and while I don’t stick to my diet as much as I should, I do get it right more often than not. 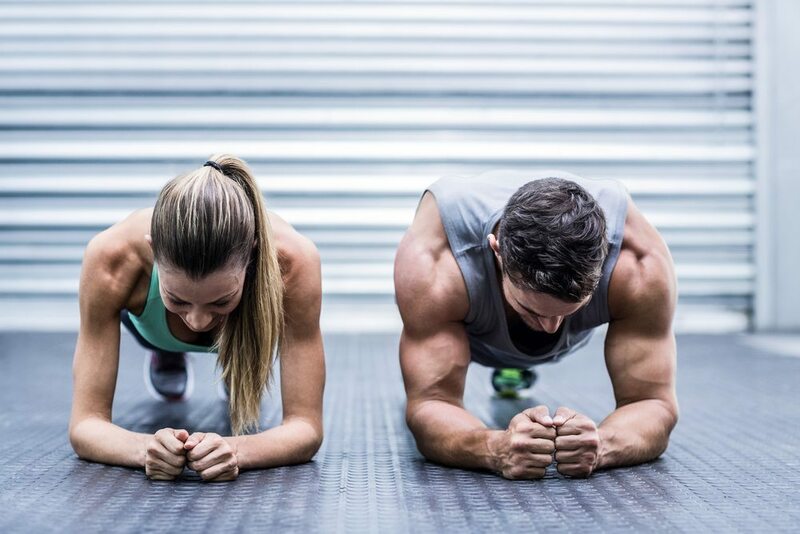 Being fit and clearing out your steam back log don’t have to be goals at odds with each other. Try to consistently make healthy food choices, drink a lot of water and get a good night sleep! Start with 5 push ups, 5 squats, 5 jumping jacks and 5 crunches. Every set after add 1 rep to each movement until you’re unable to complete all four exercises. At this point take a short break , ideally from both the game and your exercise, and start the routine over when you begin playing again. It will be easy at first but trust me, it will add up. Most Important tip i can give you is this: Do it for yourself and do it immediately. Don’t wait for a good time, don’t start tomorrow…. now. Do it right now. A year from now you will either be happy that you started today or you’ll be wishing you had started today. You can do it. Be awesome.